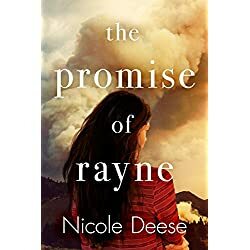 Rayne Shelby has spent her entire life trying to earn the approval of her high-powered family, with the hope of one day managing her late grandfather’s prestigious Idaho lodge. But when she makes a mistake that puts her future in jeopardy, she faces an impossible choice: defy her family or deny her dream. The only way to fix the mess she’s created is to enlist the help of her neighbor, Levi, the apprentice of her family’s greatest enemy. And if Rayne gets caught crossing the divided property lines, the consequences will be irreparable.